First Crush is set to go into the $150,000 Toowoomba Cup with a month between runs after trainer Chris Munce elected not to start him at Doomben. 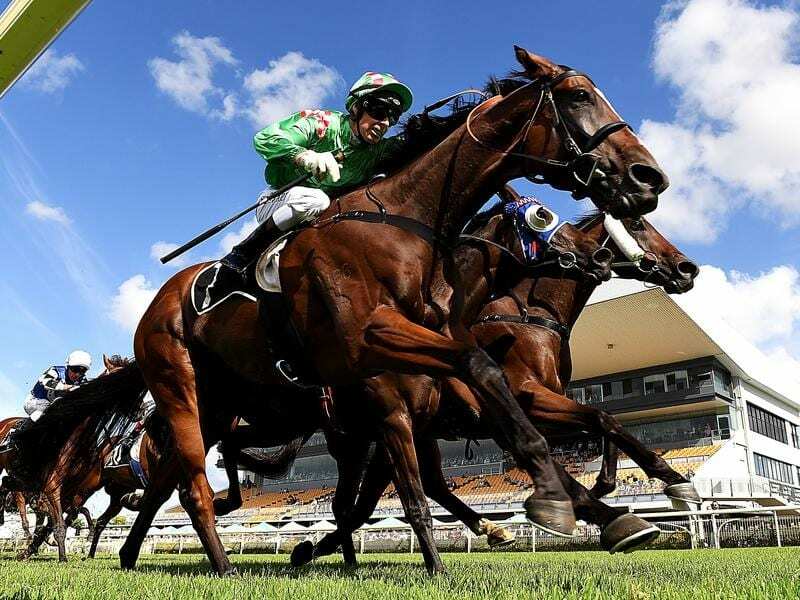 First Crush won the Grafton Cup and was second in the Ipswich and Caloundra Cups last winter. He showed he was back near his best with a fast-finishing second to Sword of Justice in the Listed Tattersall’s Member’s Cup on March 2 at Doomben. Munce thought about running him at Doomben on Saturday but decided against it and First Crush goes to Toowoomba on April 6 without another run. First Crush was third in last year’s Toowoomba Cup but had a different lead-up with two 2000m runs. Munce believes First Crush doesn’t need another run before Toowoomba and he is looking deeper into the winter carnival. “He is a clean winded horse and he seems to race well with his races spaced. Hopefully, he can race well and then we can look at the better races this winter,” Munce said. It has been a busy few weeks for Munce who has been active at the yearling sales. “I have ended up with about 20 yearlings at this stage from the Magic Millions, the March, Sydney and New Zealand sales,” he said. Munce’s star galloper Boomsara is back in work and will be main attraction at the trainer’s open stable day next Sunday. Boomsara, who won the Magic Millions Guineas in January, is currently on the third line of betting for the Group One Stradbroke Handicap in June at $11.